Anderson Phillip speaking to the media during Sunday’s post-game interview. 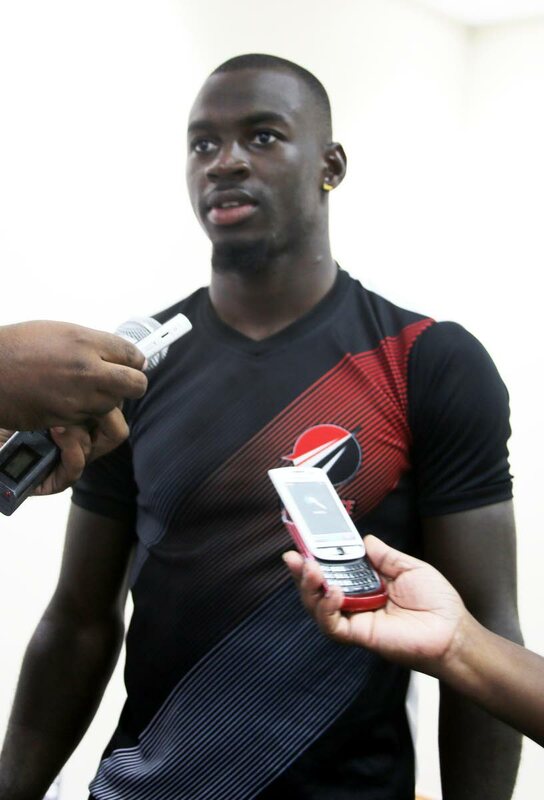 ANDERSON PHILLIP, the TT Red Force fast bowler, is pleased with his returns at the 2018-2019 West Indies Four Day Championship. The 22-year-old was second on the wickets tally for the Red Force, with a haul of 28, including a career-best figures of five wickets for 74 runs in last weekend’s season-finale against the Jamaica Scorpions at the Brian Lara Cricket Academy in Tarouba. Commenting on his maiden five-wicket haul, Phillip said, “Coming into the season, it was a bit tough for me. With the support of the teammates, this one was possible, the first of many. He was a member of the victorious Trinbago Knight Riders team at the 2018 Caribbean Premier League. Reply to "Phillip pleased with 2018-2019 regional season"